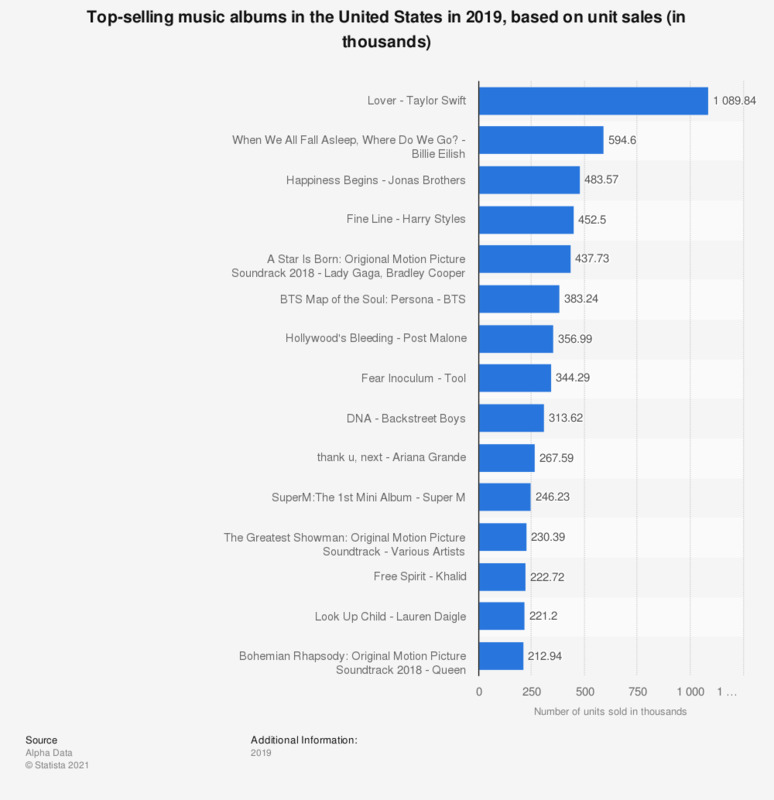 This statistic presents the ten best-selling albums in the United States in 2018. The soundtrack to the movie "A Star is Born" was the the second most successful album of the year, selling over 525 thousand copies in the United States. The most successful album of the year was the soundtrack to the movie "The Greatest Showman", which sold over 1.27 million copies.